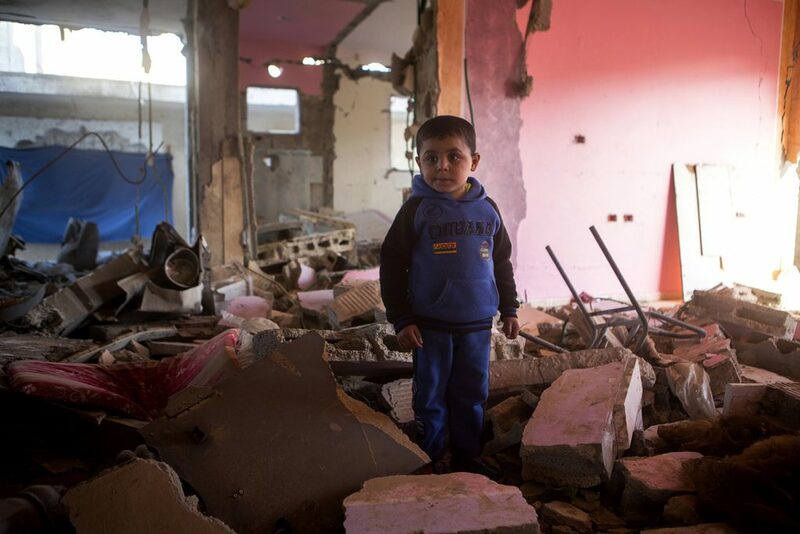 Photo: Nidal (4) in his destroyed home. His mother and twin brother were killed during the attack; he was found under the rubble only the next day. An Israeli drone first fired a so-called warning missile, which is usually followed by a larger missile several minutes later. The warning is supposed to alert civilians without causing damage to buildings and people, which in reality it often does. There is no strict rule about how long after the second missile will be fired, either. In this case, there was no time to flee before the second hit, as the bomb was dropped just one minute after the ‘warning’. 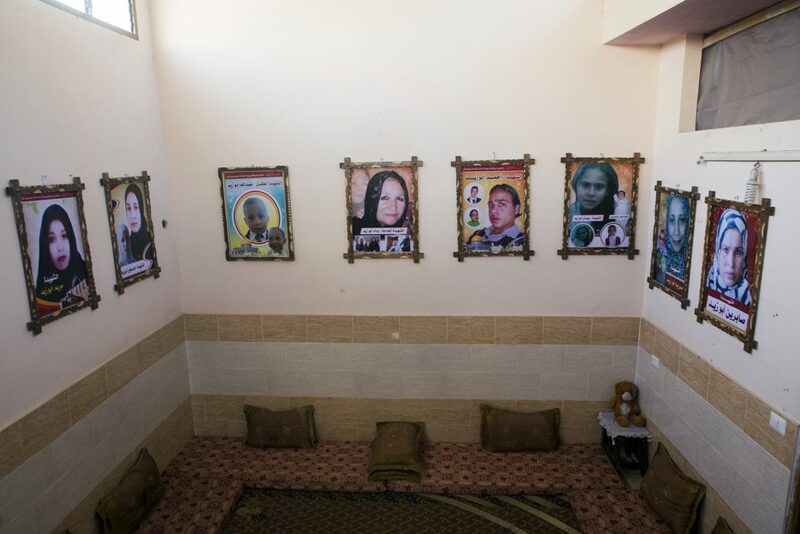 Four Abu Zeid brothers lost their wives in the attack.